If you are an Indian parent, ‘dilemma’ is probably your middle name. When you aren’t in a fix over how to impart the right values to your progeny, you’re possibly fretting over how to ratchet up the corpus for his education and wedding. Which instruments should you invest in? Will these help build an adequate corpus for all the goals? Have you taken the right decision in picking Ulips or should you have opted for the Sukanya Samriddhi Yojana? Perhaps real estate is the best investment, or should you just dump all your money in safe fixed deposits? If you are racked by such queries, you are not alone. Little wonder then that there was a Rs 4.15 lakh shortfall between what parents contributed and what students claimed they spent on education, according to the HSBC Value of Education Survey 2018. Nearly 61% of parents also wished they had started saving earlier for the goals. As per another study, the 2017 Birla Sun Life Insurance Company Protection Survey, saving for kids’ education was the top worry for nearly 35% of the 1,540 respondents. The first step to building a sufficient corpus for your children is to frame clear goals, with defined future values that take inflation into consideration. Then fix correct time horizons for these goals. It’s the time frame and risk associated with proximity to goals that primarily decide where you invest: if there is enough time to reach the goal, invest in equity, but if you have little time left, opt for debt. The second step is to build a portfolio with the right asset allocation—optimum mix of equity, debt, real estate, gold—to ensure growth and safety of your investments in keeping with your age and goal horizons. Finally, pick the instruments that fit into this asset allocation. You can either pick a bunch of equity and debt instruments separately, or invest in mutual funds, which have an inbuilt equity-debt combination to suit your risk profile. Once you understand this basic investing process, all your dilemmas regarding instruments will be easily resolved. So as you fete your kids this Children’s Day, go through the six questions in our cover story and understand why you should pick one instrument over another. Q5. Should I invest in Sukanya Samriddhi Yojana, PPF or FD? 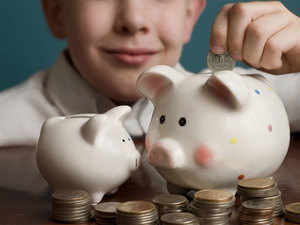 The Sukanya Samriddhi Yojana, PPF and fixed deposits are all debt instruments, which should be taken to dilute risk only if your asset allocation demands it. Though Sukanya is being seen as a good debt option, the PPF scores over it for various reasons.